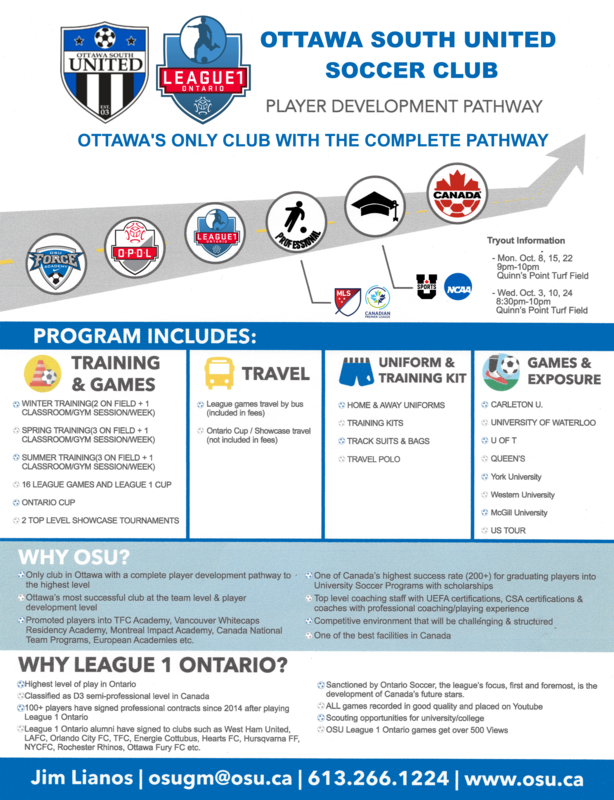 OSU was officially accepted into League 1 Ontario in the Fall of 2016. League 1 is a pro-amateur, standards based league, which is officially classified as the Division 3 national standard. It provides a critical development opportunity for players within our Force Academy pathway. Participants within the League 1 team are aspiring towards professional play, or are competing at the University or College level. We hope that all young players within our club can aspire towards participating within League 1, especially as the structure of pro soccer in Canada continues to develop. The program is primarily for players between U17-U23 and involves match play from April-October against the other League 1 franchises across Ontario. Players participate within a training program, which is designed to mimic a professional team environment.